Here's an interesting piece of history if you're a "belt mark" such as myself. The story shared below is straight from Dory Funk, Jr. I only know about it however due to this thread at WCMB. For the last 35 years and most probable for the rest of my life, my conversation with wrestling fans will revolve around my days of being the NWA World Champion. As champion, I traveled with the NWA World Championship Belt, usually in my wrestling bag in flimsy felt container for protection. I checked it on the airlines, left it in dressing rooms while visiting with fans and was not concerned about leaving it in my hotel room while I was out. Even though is was proud of the World Title Belt, the real value didn't strike me. In 1974 a new NWA Belt was authorized by the NWA and ten thousand dollars appropriated to purchase the gold required and have the belt made. The belt I had would be retired to its original owner, Sam Muchnick. When Sam's wife Helen died, after the funeral he held a reception in his home. Many former champions, wrestling friends and media celebrities were in attendance. The NWA World Title as always remained on the mantle over his fireplace. When the reception was over, the belt was gone. An artifact of wrestling was lost forever. Check out Dory's story for some nice pics of a replica of the belt in question as well as a picture of Dory Jr. wearing the belt. Check out the aforementioned WCMB thread for some further clarification on this story and some additional pictures related to it. 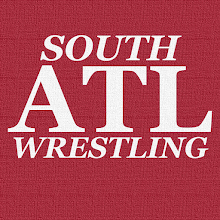 I've said it before and I'll say it again, if you're not a knucklehead and want to learn a ton about the wrestling business you need to go and at least lurk over on Wrestling Classics. It really is a phenomenal place to find out more about the wrestling industry.